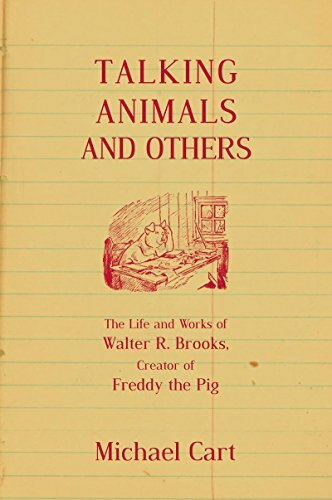 The first complete biography of the beloved children's book author Walter R. Brooks, creator of Freddy the Pig. In the last ten years Overlook's Freddy the Pig rediscovery has delighted hundreds of thousands of readers around the world. But who created this famous pig? Walter R. Brooks shared much in common with his most famous literary creation, including a love of travel and adventure, a sparkling wit and intelligence, an abiding faith in friendship, and a wonderful way with words. Together, Brooks and Freddy the Pig rank among the great pioneers and heroes of classic American children's literature. Author and librarian Michael Cart (himself a lifelong fan of Freddy the Pig of Bean Farm) gracefully combines archival research, firsthand accounts from Brooks's personal files, and interviews with his second wife to present the first complete biography of the man behind the pig. Much of the series sprang from Brooks's idyllic childhood in turn-of-the-century upstate New York among a colorful cast of family and friends. Brooks spent his adult life writing iconoclastic columns and book reviews as well as original, often fantastical stories for numerous popular publications. Talking Animals and Others is a long-awaited homage to the gentle genius of this great American author and to the pig who lives on in the hearts of devoted readers everywhere. If you have any questions about this product by The Overlook Press, contact us by completing and submitting the form below. If you are looking for a specif part number, please include it with your message.